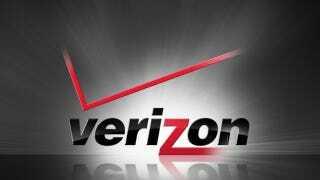 The Wall Street Journal is reporting that Verizon has plans to shake up the TV industry. It simultaneously wants to offer more channels on its FiOS TV service—and only pay for the shows its viewers are actually watching. The Journal article outlines Verizon's proposal, which amounts to paying individual channels by how many "unique views" of five minutes or more they ratchet up every month. That runs completely counter to the usual business model that Verizon currently has to play along with, paying a fixed, monthly per-subscriber fee. But wait, it gets more controversial! Because Verizon wants to use data from its own set-top boxes—and not from the ratings body Nielsen—to calculate how much it owes each channel. Essentially, this amounts to the a la carte utopia envisioned by Apple for a TV service—and it's going to be raising plenty of eyebrows. If providers tried to adopt a similar model on a larger scale, sports channels would likely be among the hardest hit, since their fees are so high relative to other kinds of programming when controlling for the number of viewers.